Daniel was born into a religious family, but his faith didn't take it's deep root until he committed to daily praying the Rosary. As a young man, he pursued his passion for faith and his love for music; it has become his life work to write and perform powerful songs of faith with strong Catholic themes. Daniel stands out from the crowd as one of a very select group of Catholic artists fully devoted to music as a way of life. As an extension of this lifestyle of music and artistic creation, Daniel founded one of the only touring Catholic rock bands in the United States. The Thirsting has been active and growing under his vision and leadership since 2006. With two full-length studio albums, and one set to release Fall 2015, The Thirsting shows no signs of slowing as they encourage Catholics in their journey. This influence stems from Daniel's firm commitment to his own faith and spiritual discipline. Inspired by the song Daniel wrote in 2009, Come Hold My Son acoustic concerts take listeners on a journey through the mysteries of the Rosary. Concerts are usually held in the evening, and allow for a much more intimate music experience than a full band show. The more minimal versions of Daniel's music allow for the messages to ring clearly as he performs. Generally, Daniel will fly in for the weekend of a solo concert. The concerts are held whichever evening works best for the parish or event agenda, but Sunday evenings allow him to play liturgies and promote the concert after mass. After playing liturgies at mass, Daniel meets with people in the congregation and personally invites as many people as possible. Below are some demos of his slower, more low-key songs, as well as a few testimonials from audience members who were moved by the experience. Please email evanwilliamlabrant@gmail.com for more information about booking Daniel at your parish. "Thank you for your inspiring performance at Immaculate Heart of Mary Catholic School in Grand Rapids on Friday! As a staff member, I was so moved that I went to Adoration directly after the concert. You moved me to tears many times!" Lori J. 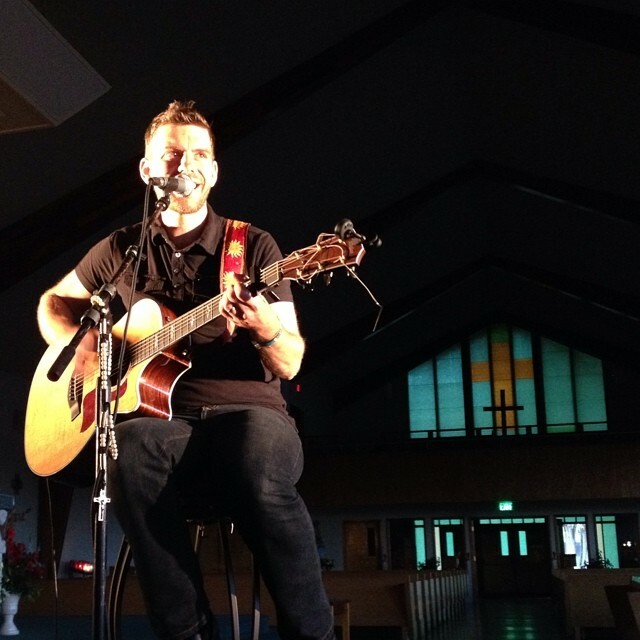 "Wow, we had a great time at the Dan Oberreuter concert in Highland, Michigan at Church of the Holy Spirit last night. If you ever have a chance to see him next time "The Thirsting" is in town, it's a can't miss opportunity." Alan P.
"Thank you Daniel for sharing your amazing gifts with the Catholic Women's Conference yesterday. "Come Hold My Son" moved me to tears. I'm blessed to have found some wonderful music that can deepen my faith. Thanks again." Kelli M.